"My homoeopath is charging me how much? Without any empirical evidence? Rawrrrgh!" 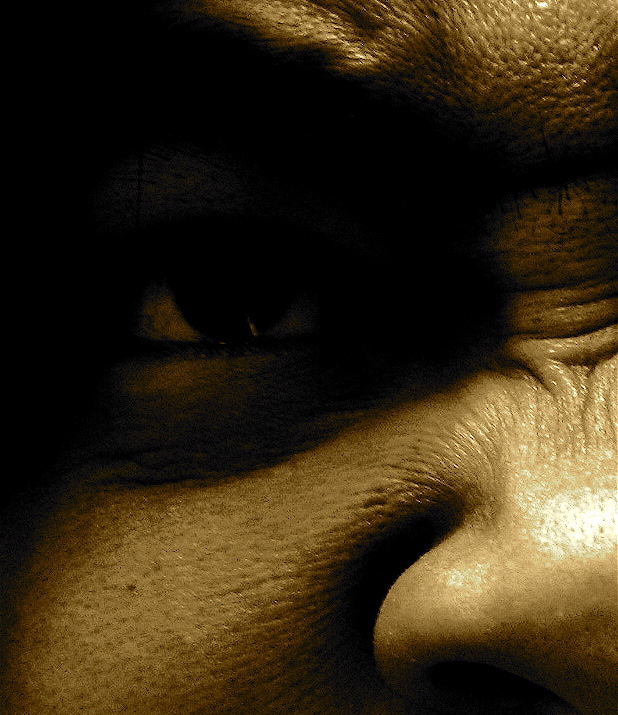 Do you have a tendency to be angry? Or peevish? Are you angry and peevish right now? If so, then it's more than likely your humours are out of kilter and you'd probably benefit from a good letting to restore balance and harmony. Yes, it's laughable nonsense, but humorism was mainstream medical theory for 2,000 years, stemming all the way back to the Greeks and practiced until the 19th century when someone actually opened up a human body and said: "Hang on a minute! This is all complete and utter hogwash!" In a nutshell, the theory of humorism dictates that the body's balance of four principle fluids (or humours, being blood, phlegm, yellow bile and black bile) determines whether or not you're fit and well or, in fact, a bit of a sick git. Specific humours prompt specific symptoms and too much bile can cause, well, too much bile (figuratively speaking). Of course, we can't be too mocking of the Greeks and subsequent generations of unfunny humorists, as millions today still swear by auras, chakras, energy fields and a plethora of other hocus-pocus hooey in favour of medicine that is backed by empirical evidence. This makes a lot of people quite angry; it makes me angry; so damn angry that I just want to lob a ... uh-oh ... this sounds like a classic case of my bile being deranged. Off to the letter I go. In the meantime, I've diagnosed the two men in this video as both suffering from dangerously deranged bile, exacerbated by tapering testosterone and erumpent egos. While it's nothing a good session of blood-letting won't remedy, I don't believe a professional referral is necessary as they will likely be eager to self-remedy each other back at the station (although they can still expect an outrageous invoice from me for my diagnosis). Is your bile misaligned? Is humorism actually true? Has a good old-fashioned blood-letting cured you of skepticism? Do please leave your comments below. I'm not a bilious person myself, but there sure are a lot of them around! Sorry Mr Ed! I automatically think of other parts of speech! Too many years of collecting words I'm afraid. Whilst 'bile' wasn't a new word to me, "erumpent" was - thank you (apparently it is also new to the spellchecker as it is riding a red wave as I type)! I have been known to become a tad bilious when behind the wheel of my car, which is very bad, I know. Oh, my word processor and I are constantly fighting while I'm writing this blog. I'm practically hammering on the screen: "Of course absquatulate is a word! Don't you dare suggest that I might mean 'baguette' when I'm typing 'bagarre'! You're underlining erumpent?! Erumpent!???" Idiotic, uncultured and ill-read spellcheckers: now that's something that gets my bile bubbling. Ed, Ed, Ed. Now you sit down while I educate you, you young naive thing you. My aunty Maude, may she rest in peace, bought healing crystals from this, like, completely wonderful guru. The next day, I swear on our Sharon's eyes it was a Tuesday, she recalibrated all of her bio-rhythms some of which, the guru explained, had actually become, and this might shock you, syncopated. Up until the following Monday, aunty Maude hadn't contracted any major diseases. Now Ed, if that isn't 'empirical' enough for you, I don't quite know what is. Or do you want 'evidence' with 'numbers'? So you go ahead and pump yourself full of nasty, awful chemicals, but I'm going down the alternative, natural, naturally irrational route. Syncopated bio-rhythms? Hmm. That does sound serious. Maybe I've been treating this whole matter with too much skeptical levity. These are not matters that should be taken lightly; certainly not ones you'd want to (pff) see a real doctor about.